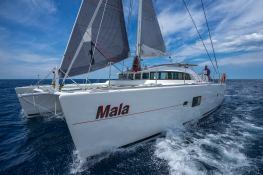 When arriving on board you will be impressed by the size and the elegant lines of this sailing yacht. 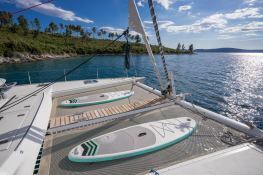 This catamaran can accommodate 8 passengers in the greatest comfort and its performances are just outstanding. 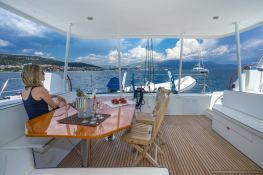 It is the ideal sailing yacht to discover the Italian coastline and the Sicily. The vast saloon is equipped with Radio/CD with internal and external loudspeakers, phone, laptop with fax, email and connection to the internet. 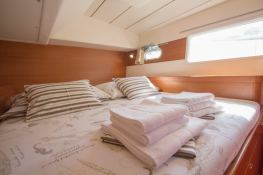 All of the 4 double cabins have a double bed, a private head, H?Fi system and air-conditioning. 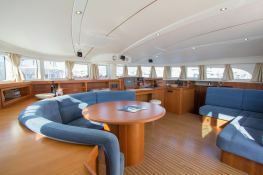 The cockpit is laid out in teak and is the ideal place to enjoy a cocktail, dinner or relaxation. 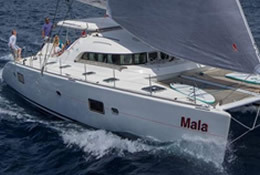 The equipment on board and the nautical sports facilities are entirely at your disposal to explore and profit from the numerous attractions of the Mediterranean sea. 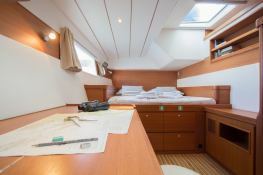 This crewed catamaran is available for yacht charter with a base price of 8 500 € (approximatly 9 586 $). 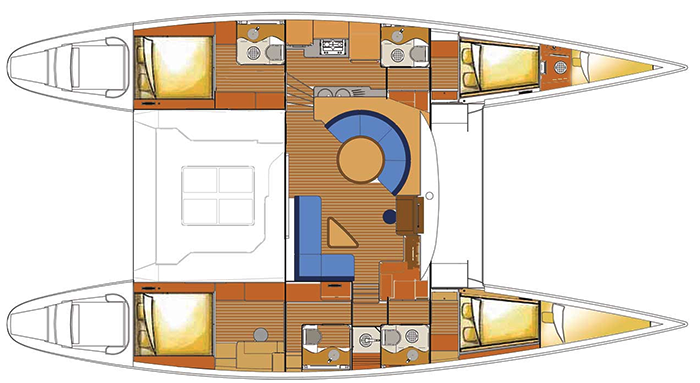 boat Lagoon 570 Lagoon Catamaran yacht charter reviews : 5 out of 5 based on 1 rating. 1 user reviews. This was an exceptional experience ! Everything was perfectly organized by Windward and there local partner. 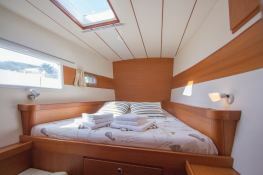 The crew were very professional and the boat exactly in line with the expectations.